Wedding season is in full swing. The save the dates and wedding invitations have been mailed with the upcoming wedding date. 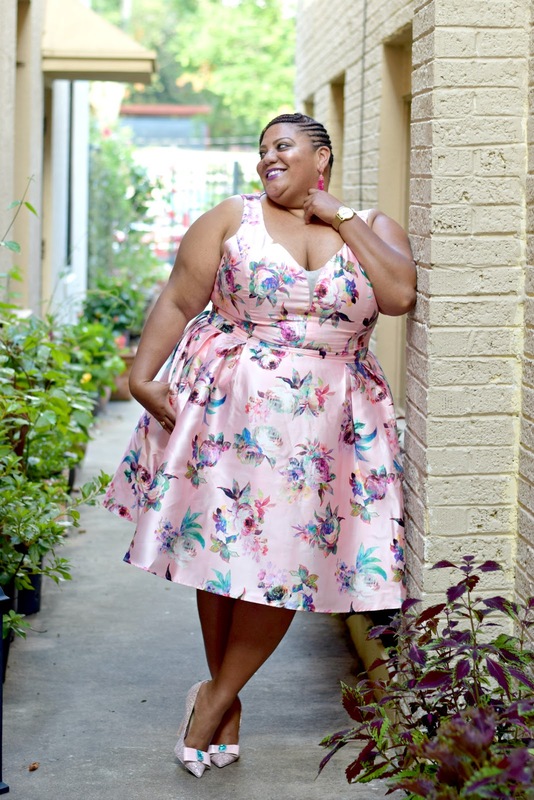 As two of my little cousins entered into matrimony last week, I was inspired to share some wedding guest looks. If you are like me, then you probably stood in front of your closet for hours thinking of what to wear to the upcoming wedding. Well do not worry, I have you covered. 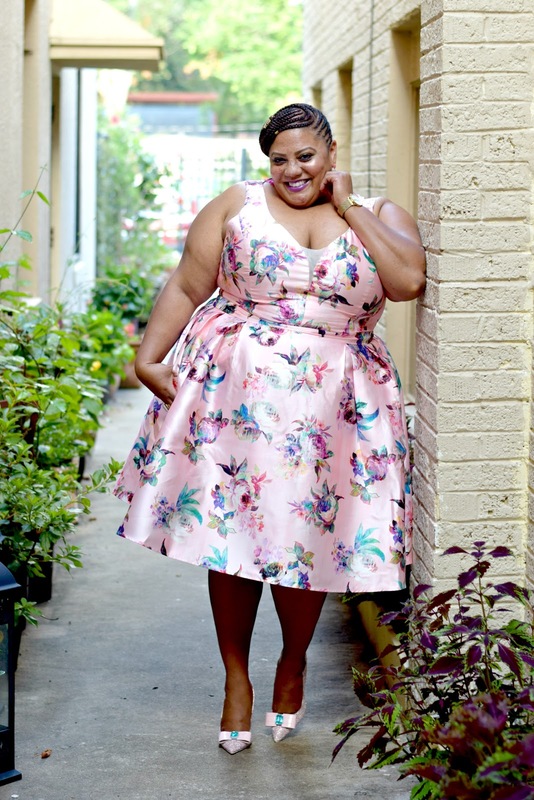 No matter your body type, these pieces are guaranteed to make you a showstopper at the wedding. 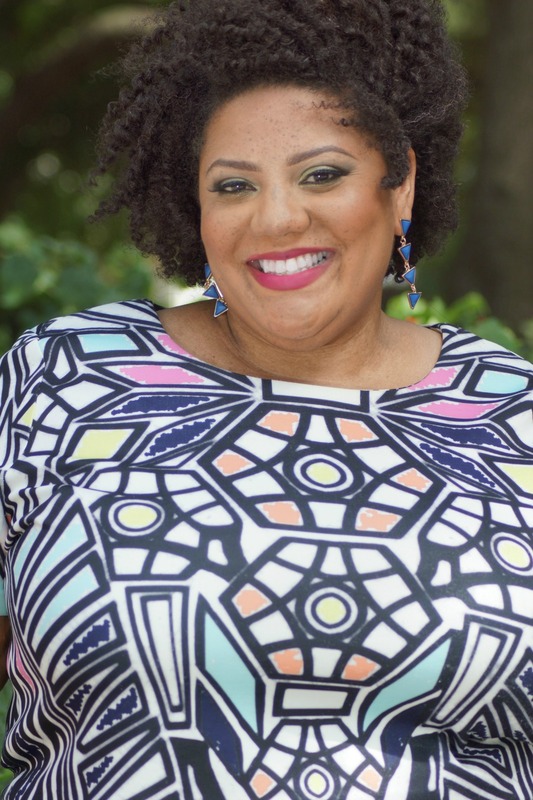 City Chic is my go to brand when I am looking for a semi-formal dress. City Chic structure of their garments are well constructed and will leave you in total aww. 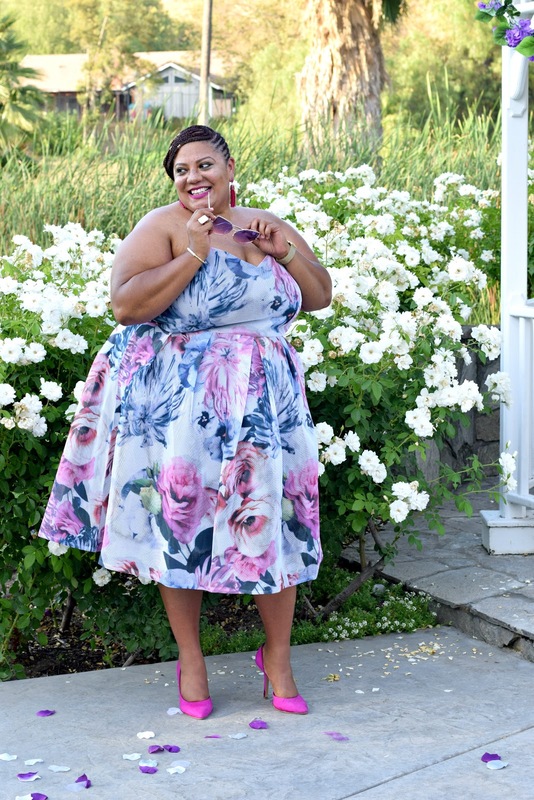 For the first wedding I attended, I wore the Posey Floral Plus Size Fit & Flare dress which is listed above. The soft pink color infused with the purples, blues, and magentas set the mood for the occasion. The underlining gives a smoother look overall. Attached to the lining is an under layer of tulle which creates a slight petticoat. For the second wedding, I changed silhouettes for the occasion. The 3D Floral Fit and Flare dress is a beautiful strapless dress with a 3D mesh exterior. I have never seen a material as the 3D Floral Fit and Flare. The material is literally like a 3D mesh. You can look through the material as you can with any mesh material but then it is heavier than a typical mesh fabric. The 3D mesh lays over a beautiful navy blue lining. 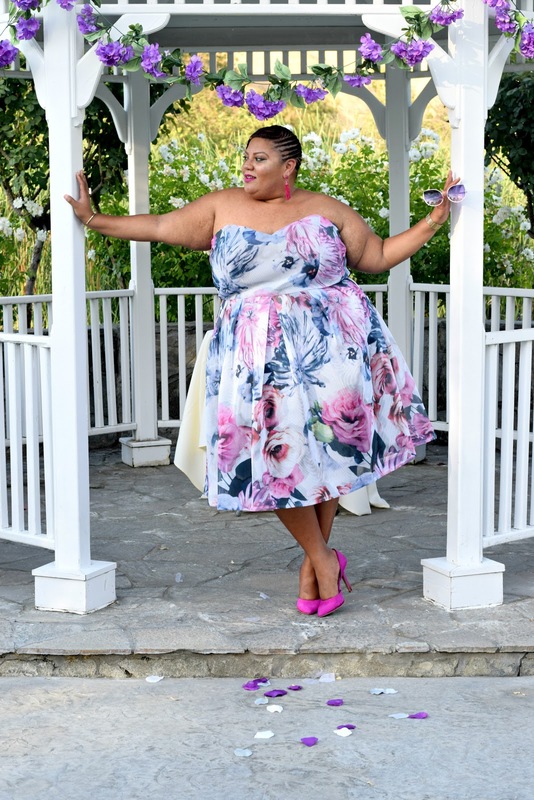 If you a planning to attend a summer wedding, I hope these looks inspire you. If you are not familiar with City Chic, please make sure to visit their website. 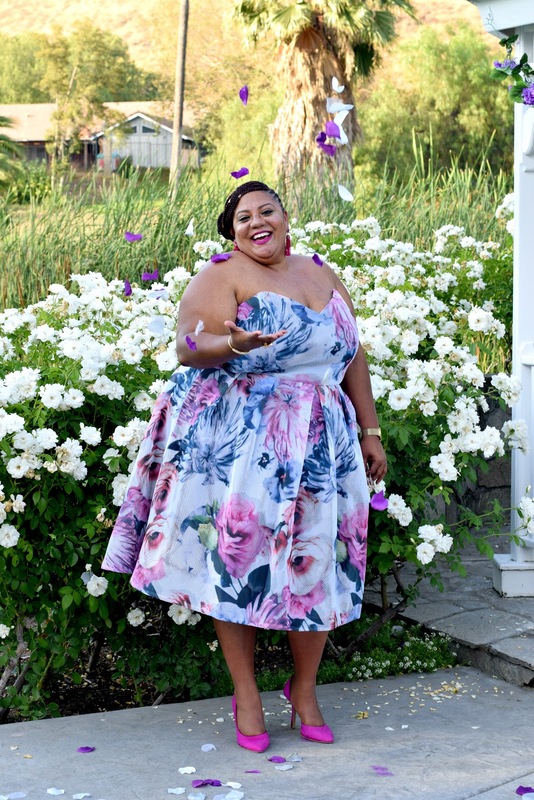 Floral is always a wedding winner! You look breathtakingly gorgeous! Are you wearing a strapless bra? I've got to find a good one. What do you recommend? My daughter was married here and all our guests said that this is the most amazing wedding they've ever been too. At New York wedding venues I love the dark wood, the beamed ceilings, and the overall sort of great vibe of the building.